Swim into My Belly, Little Fishies! December 25, 2014 Categories Uncategorizedbeach, christmas, cooking, delicious, dubai, dubaifood, farmerfood, fish, fishmarket, foodgasm, foodie, foodporn, foodspiration, freshfastfood, healthy, instagood, jumeirah, jumeirah beach, love, merrychristmas, organicfood, picoftheday, sea, straightupbananas, sunset, thin, tumblr food, tumblr pictures, uaefood, uaehealthLeave a Comment on Swim into My Belly, Little Fishies! 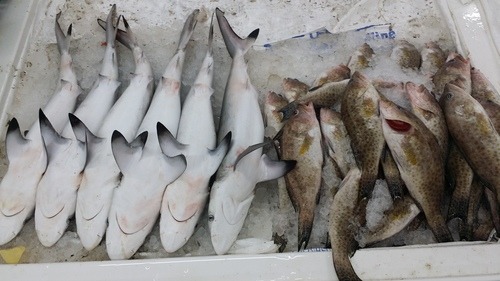 So there’s nothing I love doing in the world more than shopping for fresh ingredients to cook with, and my trips to the fish market at dusk are no exception. 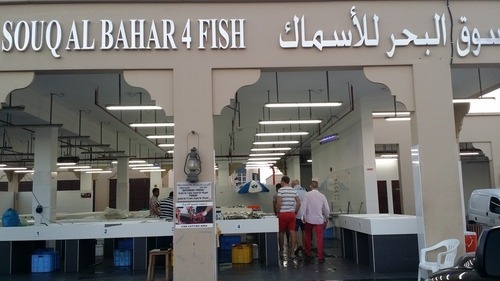 So there are two fish markets (that I know of) here in Dubai, one giant one in Deira, and one smaller, but equally fresh and well priced, here in Jumeirah. I’m telling you, once you go to the fish market and see the difference in quality and price, you will never ever EVER order fish out again! The one in Jumeirah is located right across from the Customs office. It is crazy clean. In the front, you’ve got the vendors selling their daily catch and in the back you’ve got the fish cleaning area. 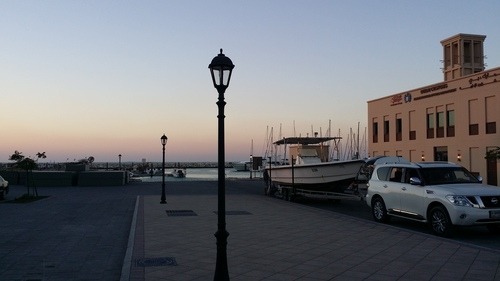 The market is right on the fishing-boats marina–so you know that when you get those fish, they’re going to be as fresh as it gets. 1- ALWAYS heckle the fish monger! 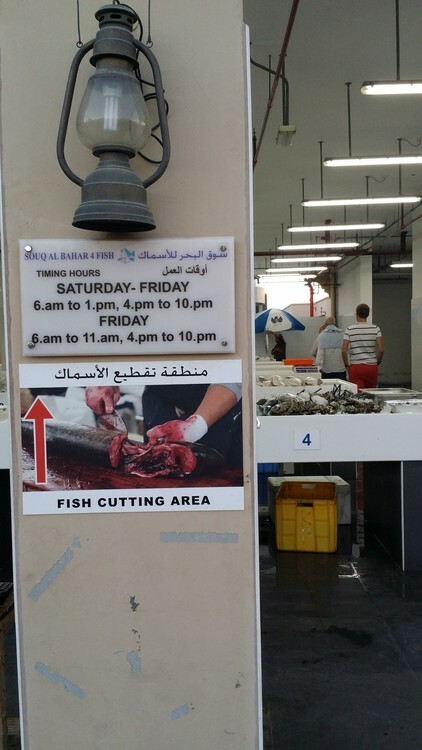 We bought a kilo of salmon for 40 aed, he originally suggested we pay 65 aed lol. 2- The earlier in the day you can go, the fresher the fish. 3- The later in the day you go, the better the price you can get because they just want to get rid of whatever they have and go home. I know the situation’s a bit of a Catch-22 but you get to choose: fresher or cheaper? 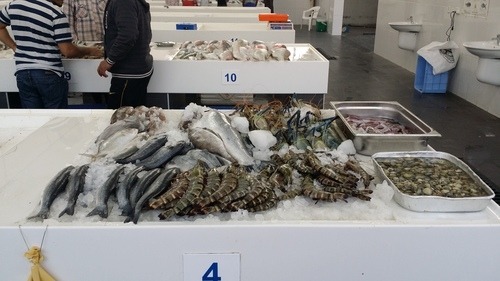 4- Always make sure the seafood is fresh because unfortunately, sometimes, they will try to get rid of the older fish to make room for the fresher. Remember! Fresh fish always has clear eyes as opposed to cloudy. Smells like the sea, NEVER fishy. Has super red gills. The fish shouldn’t be floppy, it should stand up straight if held upright. Got it? Okay! 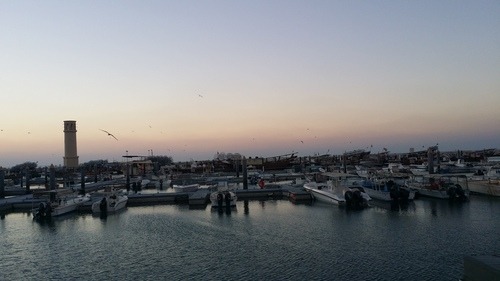 My husband and I bought 1 kilo and a half of wild salmon for 50 aed, 1 kilo of tiger prawns for 60, and a kilo of hamour (reef cod) for 40 aed. Now you tell me what restaurant in Dubai serves 1 kilo of the freshest shrimps around for 60? I think it’s also worth mentioning that if you buy big quantities, you’ll get better prices per kilo. Now to the cleaning station. My friend Omar is a king! He’s the sweetest, and he always takes extra care of us. 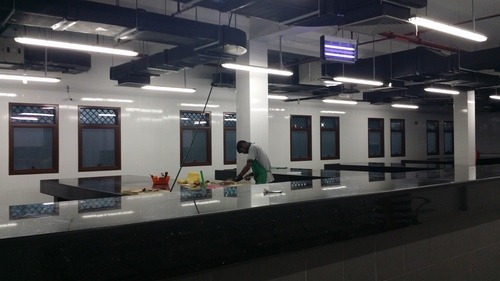 He’ll clean the seafood you just bought–scaling, skinning, deboning, deveining, filleting–you name it! the cleaning area charges 5 aed per kilo of whatever and saves you the trouble of having to go home and start messing with fish eyeballs and poop. Yes. I went there. Lastly, I pinpointed the exact location today! You’re welcome! If you go, let me know how much you liked it!